Think-And-Grow-Rich = Are you wasting your time by 'thinking' about becoming successful and growing rich, or are you applying yourself to your goal plan? "Anything is possible when you decide to go after your goal"
The well thought of grandfather of personal development Napoleon Hill penned the acclaimed motivational and self-help book 'Think and Grow Rich' in 1937. Today his principles are followed, sometimes to the letter, but al in all, the idea of having a definite purpose and total focus on applying daily actions to achieve the desired goal are still true. It seems to me that thinking is a good place to start, however thinking alone is not sufficient to ensure success is yours you need to trigger your thinking process to include so much more. So begin with eliminating your stinking thinking and thought by thought move forward. Thinking about what you want is as I’ve just mentioned a good idea as it sets the framework for your ultimate goal and paves the way to setting up a plan of action. From having a plan of action all you need to do is invest a dedicated time every day to work the plan and as you move forward reap the benefits of your efforts. There are many techniques to increase your motivation and generate results, some of which can be quite dramatic and life changing. However, there is only one reason that can and will produce the results you are thinking about, and once you know exactly what that is and you can formulate a solid structure around your ‘knowing’ you’ll be amazed how you’ll experience a stunning breakthrough and turn into a magnet and create the success you seriously desire. The real foundation for success is knowing your ‘why’. 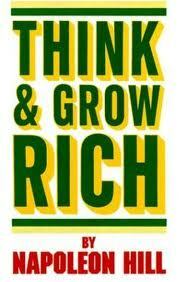 So just to round up and help you towards thinking and accessing all the riches you want in this world. It's important that you gather together your energy and direct it towards getting clear so you are able to take action and make productive decisions. Moving on with that you are able to dive deep and grasp exactly what you need for personal success. Of course it all takes time and continuous effort on your part, you are already aware that there is no such think as a 'free lunch'. But, there is the knowing that you can achieve your hearts desire by applying yourself to your goal with a definate of purpose and continued action. The key concepts of the idea to just think about having success is part of the self-improvement and personal development of all successful people who commit to take daily action and reap the rewards of success.